Since 1922, adults and children in La Oroya, Peru - a mining town in the Peruvian Andes and the site of a poly-metallic smelter - have been exposed to the toxic emissions and wastes from the plant. Peru's Clean Air Act cites La Oroya in a list of Peruvian towns suffering from critical levels of air pollution, but action to clean up and curtail this pollution. Currently owned by the Missouri-based Doe Run Corporation, the plant has been largely responsible for the dangerously high lead levels found in children's blood. Activities are now underway to curtail emissions and clean up legacy residual contamination. Ninety-nine percent of children living in and around La Oroya have blood lead levels that exceed acceptable limits, according to studies carried out by the Director General of Environmental Health in Peru in 1999. Lead poisoning is known to be particularly harmful to the mental development of children. A survey conducted by the Peruvian Ministry of Health in 1999 revealed blood lead levels among local children to be dangerously high, averaging 33.6 µg/dL for children between the ages of 6 months to ten years, triple the WHO limit of 10 µg/dL. Neurologists at local hospitals state that even newborn children have high blood lead levels, inherited while still in the womb. Sulfur dioxide concentrations also exceed the World Health Organization guidelines. Soil contamination is now being studied and a plan for clean up is in progress. Numerous studies have been carried out to assess the levels and sources of lead and other metals still being deposited in La Oroya. Limited testing has revealed lead, arsenic and cadmium soil contamination throughout the town. A detailed public health program has been implemented at the neighborhood level, focusing on children's health including bi-annual blood testing of all children. This has been operational for several years. Doe Run Corporation has developed an environmental management plan for the processing plant. 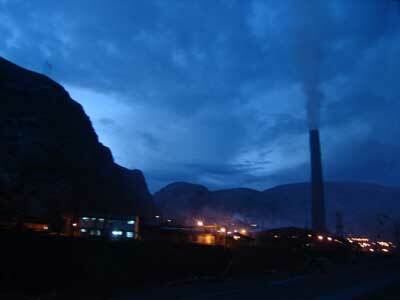 The Corporation asked the government for a four-year extension to the plant's environmental management plan in 2004. Recently, the Company offered to implement extensive re-workings of its smelters and pollution controls with an investment in excess of $400 million. Once implemented, the new plant equipment should result in substantially lowere emissions. A concerted NGO movement is now underway to pressure the company and the government to develop effective strategies for implementation of site remediation agreements and to provide health care for affected residents. Some sampling and testing has been done in the local communities and the areas outside the plant to determine the levels of pollutants. Further testing is planned to be undertaken by Activon Mineros, the government agency responsible for legacy pollution, toward the end of 2008. 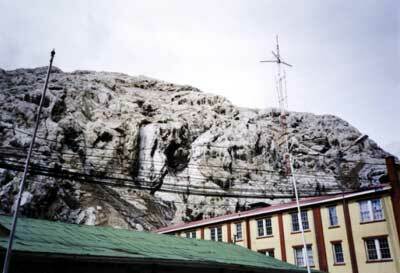 In response to the listing of La Oroya in the 2006 Top Ten, Doe Run sent a letter to Blacksmith Institute on May 2, 2007 indicating that it has curbed its toxic emissions and has invested approximately $1 million yearly in joint program with the Peruvian Ministry of Health designed to lower blood lead levels in the region. Doe Run has made significant capital investments in emission control systems, water treatment plants and changing rooms. The company has also introduced occupational and population health programs and has made its environmental improvement efforts more public. They report emission levels to have fallen since these health programs and investments were made in new technologies. Sanctions against Doe Run are still expected, mainly for sulphur dioxide emissions that it was required to reduce by this year. Doe Run is also investing in community development and poverty alleviation efforts by implementing various job-training programs. In May 2008, a team of experts from Blacksmith Institute's Technical Advisory Board visited the site and reviewed these plans and activities. Their report is attached here. In general, the team found that the programs and plans of the company and government were effective. While pollution levels still remain high, it is expected that the current programs and investments will be effective in controlling exposures to lead in the near future. The government's national environmental council approved a Contingency Plan for States of Alert (CONAM) on August 10th of this year. Its purpose will be to limit the exposure of the affected population by issuing red alerts to stay inside in response to highly toxic air quality and weather conditions that exacerbate pollution levels. The mayor of the city of La Oroya states that the alert programme will remain in effect until Doe Run fully complies with pollution reduction measures. "Crisis Deepens in La Oroya" Oxfam America. (2004) December 20. Processing operations at Doe Run Peru release toxic emissions throughout the night. Pollution from the mining and processing operations of Doe Run Peru has led to dangerously high concentrations of lead in children's blood in La Oroya.